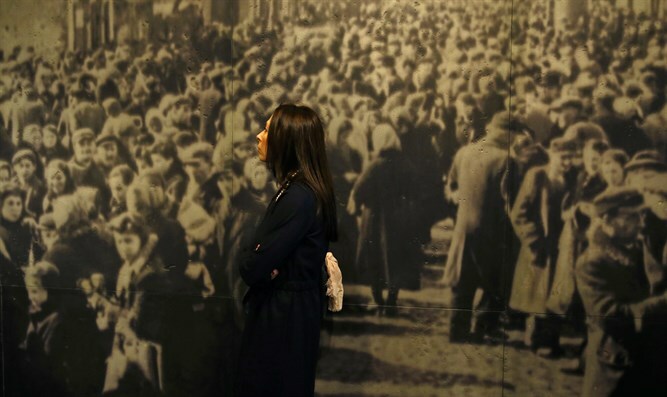 New museum focuses on life and death in the Warsaw Ghetto, where the Nazis imprisoned nearly 500,000 Jews during the Holocaust. Poland will build a museum focused on life and death in the infamous World War II-era Warsaw Ghetto, where Nazi Germany imprisoned nearly 500,000 Jews during the Holocaust, a minister said Friday. "The museum will be located in a building that had been used as a children's hospital inside the ghetto and will be established in collaboration with the Jewish Historical Institute," Culture Minister Piotr Glinski told reporters, without specifying a timeline. "It was the largest ghetto in the Nazi-occupied Europe and the most tragic, there is so much to tell," Pawel Spiewak, who heads the Jewish Historical Institute, told AFP. The former hospital, located in the heart of the Polish capital, stands right next to the only remaining fragment of the ghetto wall. Janusz Korczak, a renowned pre-war Polish-Jewish children's author and pediatrician, worked at the hospital before the war. An innovative educator, he cared for orphans in the Warsaw Ghetto and died along with his 200 young charges in the gas chambers of the Treblinka death camp. 260,000 Jews died in the ghetto's liquidation, launched in July 1942. A year after invading Poland on September, 1 1939, Nazi Germany set up the Warsaw Ghetto in the heart of the occupied Polish capital in October 1940. Nearly half a million Polish Jews were confined in its squalid quarters, measuring just three square kilometers (1.2 square miles). The Nazis deported those who did not fall victim to summary execution or rampant hunger and disease in the Ghetto to death camps, primarily to nearby the nearby Treblinka. They razed the area to the ground in April 1943 during the Warsaw Ghetto uprising, the first large-scale armed rebellion against Hitler's forces during World War II which ultimately failed. Pre-war Poland was a Jewish heartland, with a centuries-old community numbering some 3.2 million, or around 10 percent of the country's population. Polish Jews made up half of the Holocaust's six million victims. An exhibition focused on life and death in the Warsaw Ghetto already forms a part of the Polin Museum chronicling the vibrant 1,000-year history of Poland's Jewish community. It opened in Warsaw in 2014.